High quality, bespoke joinery in the heart of Brunswick. Maximising beautiful northern views, each apartment is filled with natural light and space. 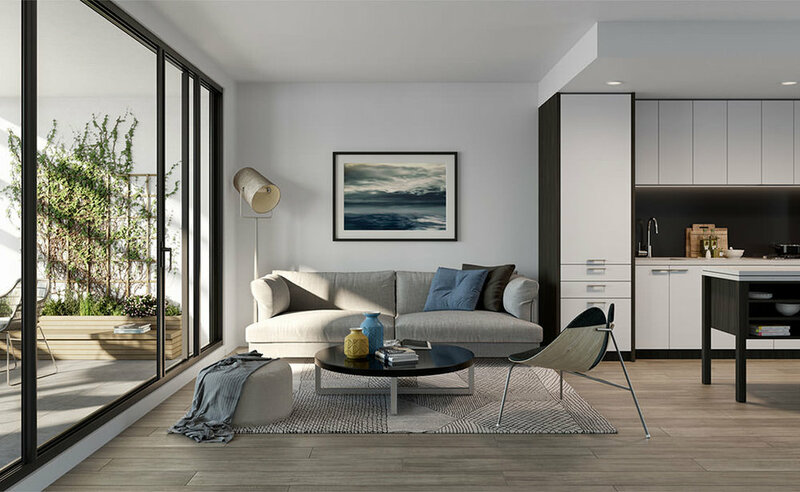 The interior and exterior of the development sets a new standard for high quality finishes in the area, with contemporary geometric forms that are environmentally responsive and architecturally considered. The joinery is of the highest quality and is a credit to the builder and developer for maintaining the intergrity and class of the specification. Lead by a well managed site team and a Sherwood crew dedicated to deliver yet another project designed by ROWTHELOWMAN and builder LU Simon.